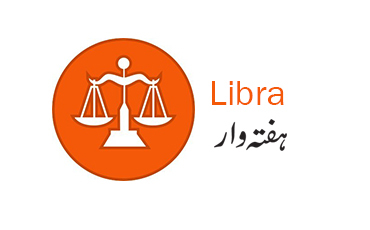 If you’re a Libra i.e. someone born between the 23rd of September and 22nd of October, then 2019 is likely to be a highly creative and artistic year for you and in this article, we’ll be looking at your horoscope prediction for 2019. You are advised to be in the company of a Gemini, especially Gemini females since they will prove to be helpful. During Late September you will see your life moving into an upward phase with a bunch of opportunities coming towards you especially when it comes to travel and your sphere of interest. Just keep in mind that mid-May to the end of June could turn out to be a time when you may need to keep track of your expenses and spending, even though there is nothing that indicates a major problem for you this year when it comes to money. From September to December there is a high potential for an increase in your money inflow. When it comes to your love life, you may feel a bit challenging especially from the start of the year, but things may get better later on. Just keep an eye out for a Gemini since they’re going to be a major player this year. You’ll also be seeing a lot of new people entering into your life like friends, family and business partners etc. Speaking of business, you may find this to the year to be a tad challenging when it comes to your career, since you may feel that your choices are limited by some circumstance in life such as lack of qualifications, your age, or even where you live. When it comes to health, you are more inclined to suffer from health problems, especially when your life is thrown out of balance. So, remember to maintain a healthy and active lifestyle and create get used to having a healthy diet. Do not overwork yourself over anything, and pay regular visits to your doctor. Remember, heath over everything. 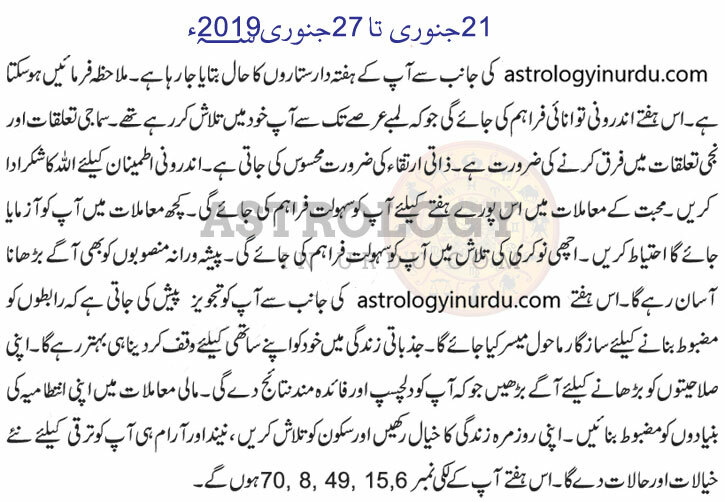 This was what your first weekly horoscope says for 2019, but remember, all of this is not concrete since people all over the world are divided into those who believe in horoscopes, and those who don’t.